Have you wondered about options for volunteering in Chiang Mai, Thailand? 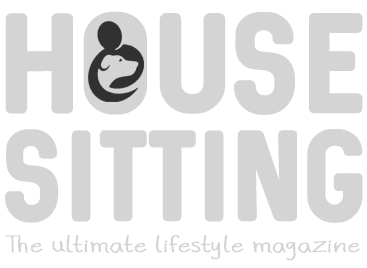 Whether you are house sitting in Chiang Mai or planning to travel there soon, you’ll discover many ways to fill your time on, or between your house sits. International house sitter and business strategist, Andrea Jordan gives her guide to volunteering, visiting temples, markets and coffee shops – what else do you need?! I first came to Chiang Mai because my sister in law sent me a link to an elephant sanctuary that she wanted to visit. I ended going to the sanctuary by myself – it was to be the first of many trips as I fell in love with the city. I volunteered at The Elephant Nature Park for a week and loved the experiences. Yet the turning point for me was the dog shelter at the end of the road. As we had lots of spare time between volunteering tasks I wandered down to the dog shelter to see if they needed a hand. What they needed most was for people to simply sit with the dogs as they didn’t get much human contact (elephants are more alluring!). The first enclosure had about 30 dogs in it. There was a pool, trees, a two story wooden platform and a stream. A fine place for a dog to stay while looking for a home. I was smothered with dogs as soon as I sat down by the pool. One jumped on my lap, another sat at my back and many more wanted pats and lots of attention. Heaven for me! I’d grown up with dogs on the farm but this was something else. I’d never seen dogs that were so desperate for attention. I didn’t know it then but this was the start of the next 4 years of volunteering that would see me come back to Chiang Mai three more times, (as well as volunteering in New Zealand, Mexico and Guatemala). After that initial trip it was a random Google search and a traveler’s blog post about a shelter called Care for Dogs, that would see me return to Chiang Mai a year later to live there for 3 months, while volunteering with the 200 dogs that the shelter cared for. This was to be the place where my love of animals and photography would have a happy collision. When I wasn’t volunteering I was enjoying the delights of Chiang Mai. I was delighted to find an extraordinary variety of food on offer in the city. From Pad Thai at a local market to fantastic coffee and cake at the many unique cafes. It became my mission, after finding a place to visit online, to get on my trusty push bike and see if I could find a new taste sensation as I explored the twisting streets. Sometimes I was lucky, sometimes my sense of direction failed me. The destination didn’t really matter as there was always an adventure to be had. Love At First Bite – a legendary cafe to the East of the River Ping. They’re famous for their cakes but their pies are great too. They have a lovely garden that you can sit in while enjoying the food. Into The Woods – I loved the atmosphere of this cafe. The fairy tale theme is carried into every part of the cafe. From the Red Riding Hood mural to the fact you have to walk through a closet, Narnia style, to get to the bathroom. Chiang Mai is well known for its street markets. The Sunday Walking Market is the most well-known and can become clogged with people. Don’t go here if you’re in a rush. Take your time looking at all that is on sale, have a foot massage to refresh, a fresh fruit smoothie, then continue along your way, ending your wanderings at one of the many street side food stalls. If you’d like something quieter, head to The Saturday Walking Market (south of the Old City). There are far less people but the same wonderful Thai street food is on offer. Nearly every Friday night I went to the Night Bizarre on Chang Khan Road. My favourite masseur was there as well as a fantastic food court full of tasty dishes. Try out the roti with banana and chocolate. Heaven for a sweet tooth. Chiang Mai is home to the most extraordinary temples. Over 300 of them! Wat Phan On – I discovered this temple when I was wandering the streets of the old city to see what I could find. It was a peaceful break from the busy streets. 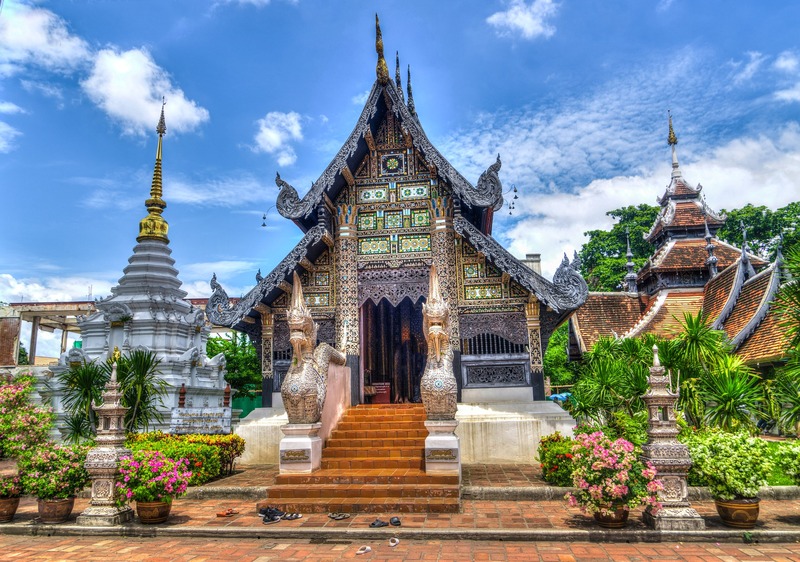 Wat Phan Tao – the only wooden temple in Chiang Mai. It may not seem as impressive as other temples but look closely at the details and you’ll see its beauty. Chedi Luang – I discovered this temple by accident. I was cycling along the back streets and saw tourists walking up a side street. Curiosity got the better of me so I followed along to see what they were up to. At the end of the street was the stunning Chedi Luang, the largest temple in Chiang Mai. Remember to show respect at all of the temples by having your shoulders and knees covered. I’d cringe every time I saw women in tiny shorts and tank tops walking right by sights that asked them to cover up. Please don’t be that tourist – see tips at end of this article if you are unsure of dress etiquette. With its affordable living, fantastic food and great culture Chiang Mai has become a welcome place for many digital nomads to call home. More and more co-working spaces are opening up, which can be wonderful places to meet other nomads. What’s your experience of Chiang Mai? The Royal Family – The Thai Royal Family is revered and there can be no worse “faux pas” than to joke about any Royal Family member. Be respectful at all times and you’ll be fine, but it has been known for some to end up in jail for “uncivil remarks”. Common sense prevails on this one! Temples – Ladies should always cover cleavage and shoulders, and wear trousers or skirts that cover the knees. Women should NEVER touch or hand anything directly to a monk. Dress – It’s a little ironic that one of the countries with the most beautiful beaches and long hot days, is also very conservative when it comes to dressing. The predominantly Muslim population in the south can be easily offended by travelers and tourists wandering into shops and restaurants scantily clad, or worse still, in beach wear. Haggling and Bargaining – Totally expected, but in a “softly-softly” manner. Smile, ask for the best price and don’t ever be aggressive. Keep calm and don’t lose your temper. The Head – is considered the most sacred part of the body, so avoid touching a Thai person’s head and don’t ruffle the hair of a little kid. Smile – Thailand is “the land of smiles” and it’s an important part of the culture and greeting. So when you meet a Thai person, smile, be calm, never lose your cool and accept what you are offered with grace. If you don’t like something, carefully decline … while smiling! Kissing in public – public displays of affection are a big no-no all over Thailand. Feet – For Buddhists, the feet are seen as the lowest part of the body, both literally and figuratively. Never point your feed at a Thai person, monk or statue of Buddha. Sit with feet under your knees, or sit cross-legged. Shoes – Remove your shoes whenever entering an indoor space. Resorts may be an exception, but always take off your shoes when entering a temple or a Thai person’s home. Remember this too when staying in Thai run Airbnbs.